manner is a big part of that process as communication is paramount. "My husband, Christopher, and I would like you to know that we had a notably good experience working on our mortgage with Ira Camp. We are new to the area and Ira made us feel very welcome. He was kind and clear. He was prompt and professional. He worked hard for us, and was always warm and gracious. That is a rare combination." 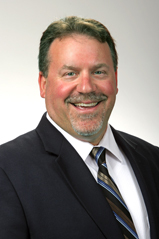 Ira has worked in the mortgage business since 2003 while mostly servicing York and Cumberland Counties in Maine. He lives in Arundel Maine with his wife Kirsten and two young children. 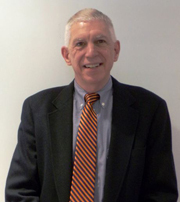 He is a strong member of the community, volunteering for the town of Arundel as the Chair of the Economic Development Committee, being on the board of the Strategic Planning Committee for RSU 21, as well as the chair for the Kennebunkport Historical Society’s annual golf tournament. While Ira doesn’t think he is going to win the Masters any time soon he does enjoy playing golf at his home course; Cape Arundel Golf Club. Ira enjoys other activities as well including Skiing, Snowmobiling, Traveling and Water Sports. Please contact Ira at 207-205-2977 or icamp@camdennational.com to get started on your purchase, refinance or construction loan today! 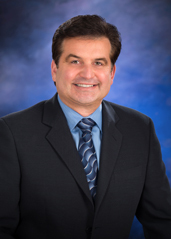 Jim has nearly 20 years as a real estate veteran and has worked on a wide array of real estate transactions. From raw land, first time home buyers, vacation homes and multi-families he can guide you through your transactions. 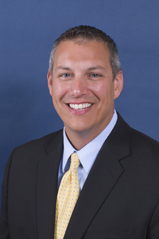 He specializes in applying expertise to help make the loan process run seamlessly. He is a people person and loves to help others realize the American dream of homeownership. 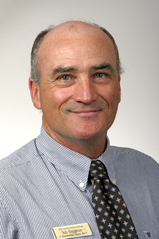 Jim grew up in Maine and studied business at the University of Southern Maine. He lives in Alfred with his wife Melanie and their 3 children. He is active in the community including being part of Alfred Parks and Recreation, Lions Club and the Knights of Columbus. He enjoys coaching his kids, camping and he loves to cook. Jim would be happy to talk to you about your goals to refinance your existing property or to purchase your first or second home, camp or investment property. 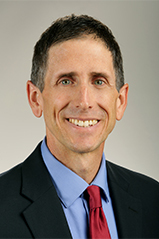 Phil has been working as a loan officer in the mortgage industry for over 12 years in the Greater Portland area. He is very knowledgeable in all aspects of the transaction and has a very good understanding of all loan products including Jumbo, Portfolio, Conventional and Government loans. He prides himself on his reputation of providing excellent service with good honest advice and accurate information. Phil attended Greely High School and has a B.S. in Finance from Miami University of Ohio. Phil lives in Cumberland with his wife and three children. When Phil isn’t working he can be found on the golf course or spending time in the Rangeley Lakes area. 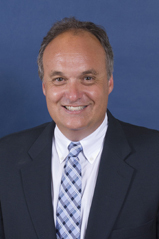 Rick Berg is a Senior Retail Loan Officer and Mortgage Loan Originator for Camden National Bank. Rick began his lending career in 2004 and seeks to use his knowledge to help his customers find the perfect solution for their loan needs. He looks to create the Nation’s Best Banking Experience for his customers from application to closing. Rick grew up in Newport, Maine and currently lives in Vassalboro with his wife Hyein. He is a member of the Kennebec Valley Board of Realtors. Rick enjoys volunteering in the community and participating in local events. He travels extensively throughout Maine, ask him if he has ever been to your hometown. “My wife and I were excited, but also somewhat stressed about buying our first home. Rick made the mortgage process easy and relaxing! He explained the process thoroughly and always provided clear answers to our questions. Not only was he professional, but he showed us that he truly cared. This was our first home purchase and we couldn’t be happier! Contact Rick today to talk about your loan needs for purchasing or refinancing your primary residence, second home, camp, investment property or for any of your Home Equity loan questions. Bob is an Assistant Vice President and Senior Retail Loan Officer. Bob’s lending experience ranges over 36 years. Bob grew up in Brewer Maine and currently resides in Auburn Maine with his wife Cindy. 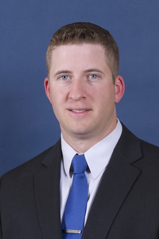 He is currently the Head Varsity Baseball Coach at Saint Dominic’s Academy and has been for the past 12 years. During that be, Bob and his teams have won 5 State Championships. Contact Bob today to discuss your current lending needs. 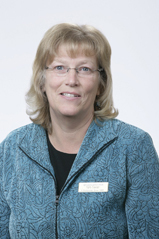 Theresa began her banking career as a part-time Teller in Waterville for Casco Northern Bank. 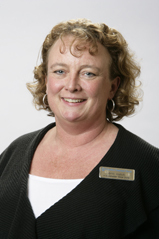 In 1995 she began working for Gardiner Savings Bank, which became The Bank of Maine and is now Camden National Bank. While working for The Bank of Maine she was the Banking Center Manager of both Waterville banking centers. Recently she began working as a Mortgage Loan Specialist covering the Waterville, Oakland, and Downeast Banking Centers. 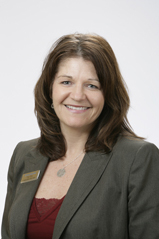 She has 18 years of mortgage lending experience and enjoys helping her customers in the home ownership process. Theresa is involved in Waterville Sunrise Rotary, and is a past president. In her term as President her club implemented the Rotary Youth Exchange Program. She enjoys volunteering in the Waterville community. Patty has been in Banking since 1978 holding several positions. 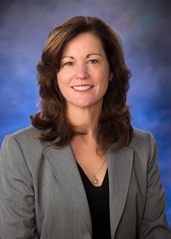 She offers Residential Lending, Consumer Lending and Small Business Lending throughout Somerset County, covering the Madison and Bingham Branches. 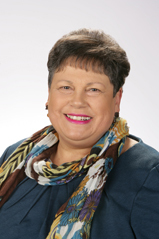 Patty is a Director and Secretary of Madison Business Alliance since 2010, member of Skowhegan Area Rotary Club since 2001, as well as a member of the Skowhegan –Madison Elks from 2016, sitting on the Scholarship Committee. Past committees include Skowhegan Area Chamber, March of Dimes and American Heart Association. Patty currently lives in Smithfield with her husband. Have three grown children and five grandchildren. 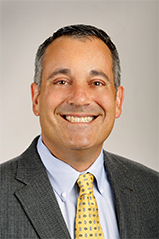 Jayson Paré is an award winning Vice President and Mortgage Loan Originator at The Bank of Maine, now Camden National Bank. Jayson began lending in 2006 and uses his experience to educate his borrowers on the different loan programs available to them. He takes pride in walking them through the process for a seamless transition from application to closing. Jayson grew up in Augusta, Maine and currently resides in Farmingdale with his wife, Kristin, and two young kids. He is currently a member of the Kennebec Valley Board of Realtors, Kennebec Valley Chamber of Commerce, and Past President of the Rotary Club of Hallowell. Jayson also volunteers as a coach for the Hall-Dale Youth Soccer and Basketball programs as well as Hall-Dale Little League. Heidi Rines, Senior Retail Loan Officer, specializes in mortgage and home equity products at Camden National Bank. Heidi got her start in banking in 1999 and quickly moved into a lending position and it has been her passion ever since. Heidi prides herself in securing the mortgage products that best fit her client’s financial needs. Heidi also makes closing on time a top priority. 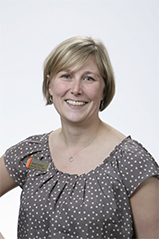 Heidi grew up and currently resides in Richmond, Maine, with her husband and two teenage boys. She is currently a member of the Kennebec Valley Board of Realtors, Kennebec Valley Chamber of Commerce, past board member of Habitat for Humanity, past president of Communities of Merrymeeting Bay Business Association, past board member and chair of Southern Midcoast Maine Chamber, 2004 Graduate of Midcoast Maine Leadership Institute, and 2007 Graduate of Certified Mortgage Planning Institute, New York City, New York. When Heidi isn’t in the office you will find her on the sidelines or in the bleachers watching her boys play soccer, basketball and baseball. If she isn’t there she is probably hiking a mountain, camping, or just enjoying the outdoors. Contact Heidi today to discuss your options and rest assured that your home loan is in capable hands. .
Lisa has over 22 years of banking and mortgage experience and recognizes the importance of staying up-to-date with all mortgage loan programs to service her clients. Lisa truly enjoys working with her clients and analyzing their mortgage needs, whether she is working with first-time home buyers or helping her clients refinance, she takes the time to explain the process and answer their questions. Lisa is a graduate of Morse High School and the University of Maine. She volunteers in a few different capacities in the area; a board member of Big Brothers Big Sisters of Bath / Brunswick, VP & board member of the area youth American Softball Association and volunteer and fundraiser of the MHS Softball Team. Lisa is also a member of Business Network International, the Southern Midcoast Maine Chamber of Commerce and the Merrymeeting Board of Realtors. A lifelong resident of Bath, Maine; where she lives with her husband, her daughter, Meghan, who attends Morse High School, and son Nathan, who is a student at New England College in New Hampshire. 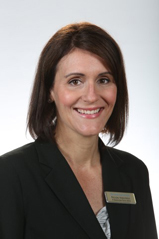 Britt is an Assistant Vice President and Senior Retail Loan Officer with Camden National Bank. She has nearly 30 years of banking experience, and feels It's truly rewarding for her to help people obtain their dreams of home ownership. Britt grew up in Nobleboro and still resides there with her husband, Josh and their children. She is a member of the Lincoln County Board of Realtors. She is treasurer for both the Lincoln Academy Alumni Council, and the Nobleboro Historical Society. She is also involved in many other volunteer efforts within her community. Please contact Britt today at to talk about you financing needs. Pamela Kenniston, Vice President and Senior Retail Lender began her banking career with Camden National Bank 25 years ago. 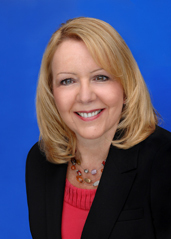 Her background and experience encompasses all facets of lending, including residential, consumer and commercial. She is a University of Maine at Orono graduate, received her diploma from The New England School of Banking at Williams College and The Northern New England Center for Financial Training. Her dedication, passion and commitment to the customer are second to none. Whether it be making a first time homebuyer’s dream come true or helping a new business become more than a dream, Pam will help that dream become a reality. She lives in Rockland with her husband Toby and has two wonderful grandchildren. She currently serves as a board member for the Rockland Public Library Endowment Association and is a past member of the SAD #5 school board. She loves to golf, ride motorcycles, camp and spend time at the lake. Please contact Pam to discuss any current or future financing needs. She will find the right product for you! As a Vice President and Mortgage Originator with Camden National Bank, I rely on almost 20 years of lending experience to help you find the best loan for your needs. Whether you are buying a home, building or refinancing, I’ll work with you to ensure that the process moves as smoothly as possible from pre-qualification to closing. I grew up in the Bronx, New York and currently live in Camden with my husband. I’m a past president and current member of the Rockland Kiwanis Club and Rockland-Thomaston Area Chamber of Commerce. I’m involved with the Midcoast Board of Realtors and was Affiliate of the Year in 2007 for the St. George River Council. I’m also a member and past chair of the Midcoast Chapter of the Maine Women’s Network. 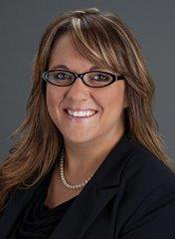 Nicole Hotchkin is the Senior Retail Loan Officer for both the Belfast and Bucksport banking centers. She enjoys working with customers and helping them find the right program to achieve their goal of home ownership. Whether you are looking for your first home, investment property, seasonal home, refinance, or a home equity, Nicole is happy to help. Ensuring that the loan process goes as smoothly as possible is her goal. Nicole currently resides in Lincolnville with her husband and two boys. She enjoys the outdoors and watching her sons play ice hockey. Nicole is a board member for Habitat for Humanity of Waldo County and Hospice Volunteers of Waldo County. She also enjoys volunteering in the Belfast community. Leveraging 18 years of experience in helping homeowners and investors finance residential real estate, Kevin is a trusted advisor for conventional, Jumbo, construction, FHA, RD, and VA loans. He is a frequent guest speaker for Penquis first time homebuyer seminars. A tenacious advocate for his clients, he exhausts all resources to ensure loans close on time as well as provide a thorough analysis of all available mortgage products and the impact on customer resources. 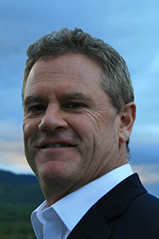 Kevin is a native of mid-coast Maine and a graduate of Dickinson College where he is also a 2005 inductee of the Sports Hall of Fame. He volunteers countless hours for clients of the Knox County Homeless Coalition as a financial educator and credit repair specialist. He is a father and husband who delights in time with his family taking in all Mid-Coast Maine has to offer. Wendy resides in Jonesport with her family and has been employed at the Jonesport Banking Center of Camden National Bank since September of 1977. She started her banking career as a teller after attending the University of Maine at Machias studying business administration. She was promoted to her present position as Banking Center Manager in 1985 and is the residential, consumer, and commercial loan officer. She has graduated from the Williams School of Banking at Williamstown, Massachusetts and the Northern New England School of Banking at The New England Center for Continuing Education, Durham, New Hampshire. 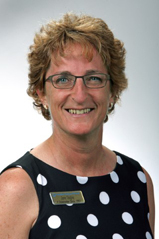 Wendy serves on the board and is the treasurer for the Peabody Memorial Library and also is a board member of the Downeast Institute for Applied Marine Research and Science. Pam Fowler, Vice President and Senior Retail Lender, is an experienced mortgage originator at Camden National Bank, covering the Blue Hill, Castine and Deer Isle-Stonington markets. Her 33 years of lending experience serves her borrowers well as she helps them navigate the different loan programs and options available to them and serves as their contact person from loan application to closing. Pam has spent most of her life on the coast of Maine and has lived on the Blue Hill Peninsula for the last 35 years and has vast knowledge of the area. She is a board member on the Tree of Life food pantry and is also involved in other community events. Any spare time is spent enjoying outdoor activities and spending time with her children and grandchildren. Contact Pam today to discuss your financing needs, whether it be to purchase your first home, your dream vacation home or an investment property. Refinancing programs and construction loans are also available. 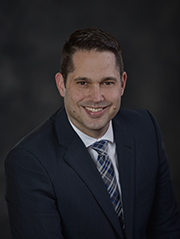 Jordan Franklin started his mortgage career in 1999 and has substantial experience working with a variety of homebuyers, including first-time homebuyers. As a seasoned Senior Retail Loan Officer, Jordan takes great pride in providing excellent customer service to ensure the mortgage experience goes smoothly for his customers. He understands the importance of listening to his borrowers’ needs and takes the time to guide them through every step of the home borrowing process. Jordan is a graduate of Husson College and holds a bachelor’s degree in Business Administration and an associate’s degree in Broadcast Communications. In his spare time, Jordan enjoys traveling and spending time with his wife. 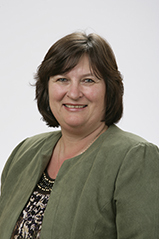 Tracy King is a Sr. Lender AVP with Camden National Bank with over 20 years of banking experience. She joined Camden National in 2006. She enjoys helping both seasoned and first time homebuyers through the lending process. Tracy grew up in Maine and lives in Bangor with her husband and 2 children. 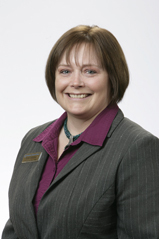 She is a member of the Bangor Area Board of Realtors, very active with the Bangor area Chamber and is a 2008 graduate of Bangor Region Leadership Institute. She is often seen at community events and coaching youth sports in the area. Tracy would be happy to talk to you about your goals for refinance or to purchase primary residence, second home or investment property. 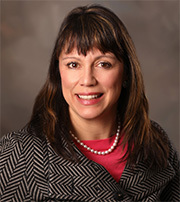 Donna Maynard is an experienced Vice President Senior Retail Loan Officer with Camden National Bank in Ellsworth Maine. Donna’s many years of banking and lending experience, including Business Banking Relationship Manager, give her the skills needed to deliver a great banking experience for all your lending and banking needs. Donna is a Maine native who has recently returned to Maine after living in New Hampshire for many years. Donna is proud to be an affiliate member of the Mid Coast Board of Realtors. Whether it’s turning your dream of home ownership into a reality, refinancing your existing mortgage, or borrowing against the equity in your home Donna is here to assist you. Michell McMahon has been a member of the Camden National Bank team since 2009 with total banking experience of over 11 years. Michell is a Senior Retail Lender with specialties in mortgage loan origination, consumer lending and small business lending. Michell works hard to ensure that every interaction is positive, that she is available to her customers when needed and that each transaction goes as smoothly as possible. Michell grew up and currently resides in Greenville with her husband and daughter. She is the Vice-President of the Moosehead Lake Region Chamber of Commerce Board of Directors. In the past, she has served on the Friends of Squaw Mountain Board of Directors as the Treasurer and sat on the Town of Greenville budget committee. Michell can help you through the process of purchasing your first home, second home, investment property or refinancing an existing mortgage. She can also help with your consumer and small business needs as well. Charles Milan IV is a Home Finance Specialist at Camden National Bank. Charlie’s lending experience began in 1998. As an owner of family businesses (Bangor Brewer Bowling Lanes, Micah’s Pub and Jimmie’s Ice Cream) and a landlord with 14 properties, Charlie has lots of varied experience to draw on. From the 1st time homebuyer to the Self Employed, Charlie uses his knowledge to assist his borrowers, from application to closing, on the different loan possibilities available to them. Charlie is a well rooted “Mainer”. He is the fourth generation of Charles Milan’s who have grown up and lived in the Bangor/Brewer area dating back to 1860. He currently resides in Brewer with his wife Julie, two wonderful children Hope & Charles V “Henry” and his 79 year old overactive father, Charles Milan III. Charlie is an entrepreneur at heart and enjoys using his experience to provide often overlooked, “out of the box”, opportunities. Contact Charlie today to discuss your dream of home or investment property ownership; or to refinance your primary residence, second home, camp or 1 to 4 unit investment property. 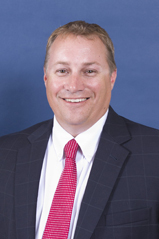 Tim joined Camden National Bank as a mortgage banker in October, 2015. 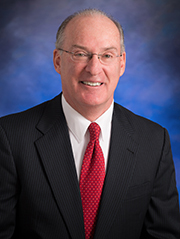 Tim’s mortgage banking career began in 1983. 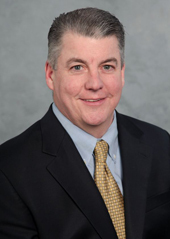 Previously, Tim was mortgage banking senior executive in the capacity of New England Divisional Manager for Travelers Mortgage Services Inc., Margaretten & Co. Inc., Chemical Mortgage Services/Bank, Chase Home Finance, CTX Mortgage (regional manager) and The Bank of Maine. His responsibilities included origination/production, processing, underwriting, closing/post closing, compliance as well as P&l management. Tim's mortgage banking philosophy: all lenders have interest rates, essentially similar products, therefore, an efficient, field friendly and talented operations staff coupled with a knowledgeable and professional origination staff is a recipe for mortgage banking success. A sense of urgency and a positive “can do” attitude enhances field referrals, the fuel of a mortgage banking machine. Simply stated “customer service rules”. 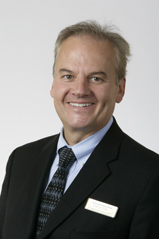 Tim is a graduate of Boston College with a degree in finance and has resided in Kingston, MA since 1986. He is the proud father of three children, Matt (30), Falvey (16) and Johnny (14). Tim was a corporate Leaders Club attendee 20+ years and is a sports fanatic. Betsy has been in the mortgage industry for 28 years and was a co-owner of New England Capitol Mortgage Company for 24 years. Betsy takes pride in personalizing the best possible mortgage options for her clients’ needs. During Betsy’s tenure, the mortgage industry experienced many fluctuations. Through it all, Betsy’s extensive knowledge, experience, and exceptional service allowed her to maintain her presence and a loyal customer base. Betsy graduated with honors from Eastern Nazarene College with a Bachelor of Science degree in Business Administration. She currently lives in Norfolk, Massachusetts with her husband and three children. All members of her family are avid skiers and snowboarders and enjoy many outdoor activities. 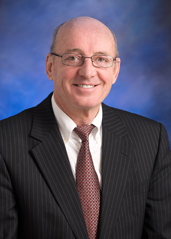 Before coming to The Bank of Maine, now Camden National Bank, Bill provided excellent service as a mortgage officer with New England Capitol for almost 25 years. What he likes most about originating mortgages is having the opportunity to sit down and talk with people to find just the right loan for them, often on nights and weekends. Many of his satisfied customers have referred friends and family members to Bill – the highest compliment a loan officer can receive. He was honorably discharged from the US Navy in 1974 and received a Bachelor of Science in Business with a concentration in Finance from North Adams State College five years later. Born in Dorchester, he represents the city’s Mckeon Post (Amvets) Honor Guard. Bill and his wife Maureen live in North Easton and have raised three sons, all college graduates. He can often be found running marathons or golfing with his friends from Dorchester when he’s not working with customers. 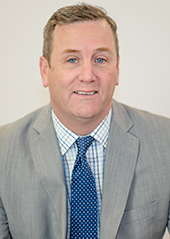 Paul joined The Bank of Maine, now Camden National Bank, in 2015 after 24 years as an owner/operator of New England Capitol Mortgage Corp. (NECAP) located in Braintree MA. NECAP was one of the most successful Licensed Mortgage Lenders in MA. With all the new regulatory and healthcare burdens smaller Lenders have to endure, both Paul and his longtime partner Betsy Hauser decided it was time for a change. They are now both Vice Presidents of Mortgage Operations at The Camden National Bank Mortgage Center in Braintree, MA. Paul is very excited about freeing up more time to do what he enjoys most in this business. That is being a true financial planner for mortgages and giving personalized service to each and every one of his extended family of clients. His over 30 years of expertise is greatly appreciated by the over 10,000 plus clients his company helped secure financing for over the years. Every mortgage has different guidelines, parameters, individual scenarios and requirements, for each and every borrower. Paul prides himself in the trust his clients place in him and goes well beyond the typical rate and payment quote to ensure every monetary and time saving option is explained and understood. Paul is an avid outdoorsman who enjoys high adventure trips as well as destination vacationing with his wife of 32 years, Donna. They currently reside in Foxboro, MA. 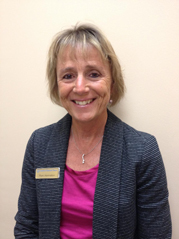 Pamela Starr of Manchester, NH has recently joined Camden National as a Mortgage Loan Officer. 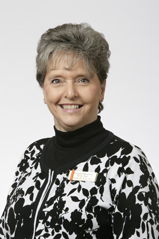 Pam came to Camden from Members First Credit Union, where she served as a Mortgage Loan Originator for two years. 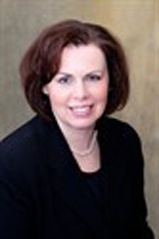 She has several years of experience in mortgage lending, having begun her career at Beacon Mortgage in 2004. Pam is a lifelong resident of Manchester, where she resides with her husband and children. “I’m excited to be working for a company that focuses on service and innovation. At Camden I will be able to provide the best possible mortgage banking experience to my established borrowers and new relationships as well”.